PharMatrix only represents truly pass through and fiduciary PBM that fits your needs. Whether healthcare benefits or workers compensation, PharMatrix puts you and your employees' specific needs first. PharMatrix owns proprietary rights to industry tools that expose PBM "spread pricing" techniques that cost plan sponsors billions of dollars each year. 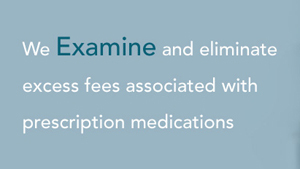 Additionally, Phamatrix exposes formulary manipulation and other industry techniques designed to maximize financial returns to the PBM at the expense of the plan sponsor and their members. PharMatrix associates bring decades of knowledge from within the healthcare benefits and PBM industry to the employer groups. All PBMs are transparent to their contracts with the client. However, the PBM contractual wording can most often be misleading as to actual pricing, cost to the client and overall profitability for the PBM. Fiduciary certification demands that ALL aspects of the client's PBM program be designed and executed in the best therapeutic and financial interest of the client and the client's members. Fiduciary certification demands that every dollar of the plans sponsor's spend is accounted for. 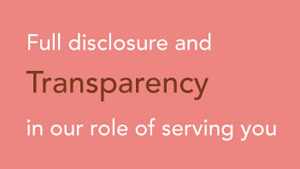 We certify pass through transparency AND fiduciary responsibility to every client. The Rx portion of your fully insured medical premium equates to 18-30% of the total monthly rate depending on your state. Now you can decrease your fully insured premium by the associated percentage by carving out your Rx benefit without the up and down cash flow associated with a self funded carve out Rx plan. You pay one amount each month. If the amount you pay exceeds the claims paid you will receive the overpaid amount back. If the claims exceed what you pay, the insurer pays the rest. So in addition to the reduced monthly fixed per employee per month (PEPM) premium that you pay for your health insurance premium, you may receive additional money back at the end of the plan year. As the "Our Guarantee" tab states, this program is guaranteed by the Largest Healthcare centered Re-Insurance company in the world AND one of the top 50 and most respected insurance companies in the U.S. If you are already a self funded Healthcare Benefit Plan you will obtain significant savings by engaging us. Whether or not you utilize our PBM partner or renegotiate your current contract based on our review, you will save money. Additionally the plan sponsor may also qualify for a very unique Rx program as well. This program guarantees our claim of savings. The guarantor of the savings is the largest healthcare centered re-insurance company in the world AND one of the top 50 rated and most respected insurers in the U.S. The program guarantees our claims of savings with their money. For additional information you may email an associate at info@PharMatrix.org or contact Kent Thomas directly at kent@PharMatrix.org.